We are now definitely in the season defined as the time to be jolly, which means that you should be seriously considering your next purchase. That could be either for yourself, or a loved one, but it should definitely be one that saves you money. 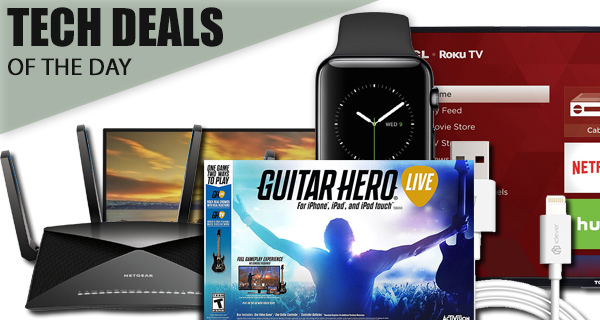 Check out our daily tech deals below to see if there’s anything that takes your interest. Today we are looking at the first-gen Apple Watch 42mm with Stainless Steel case going for around $100 off its original price. 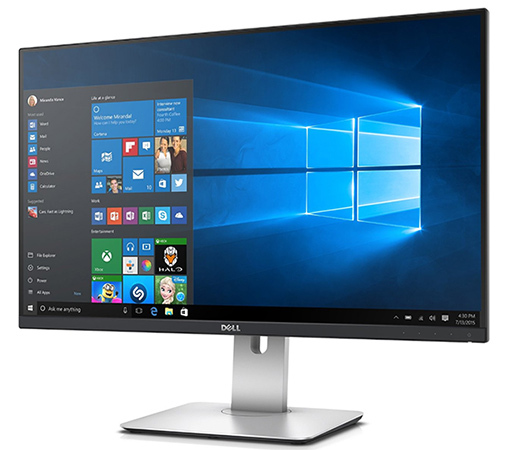 If you’re looking for a brand new LCD monitor, check out the Dell UltraSharp 27-inch display at half its retail price. Speaking of displays, there’s a big screen TV from TCL with Roku TV and 4K resolution for under $600. Looking for WiFi router? The NETGEAR Nighthawk X10 is one serious router to consider. Moving on, if you’re looking for a new Lightning cable for your iOS device, check out a 6ft offering for just $9. 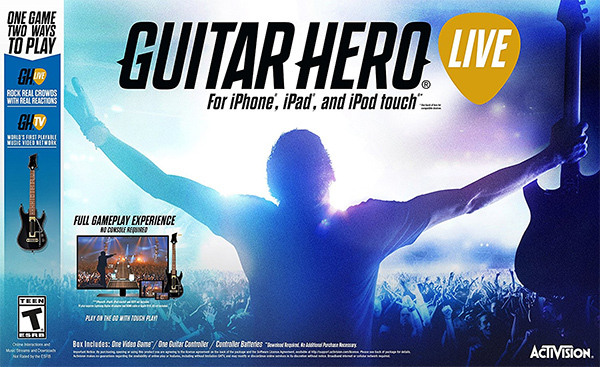 There is also Guitar Hero Live for iOS and tvOS with added goodies for just $18.99. As always, grab the product of your choice as quickly as possible as the deals listed here are time sensitive and subject to stock levels. So, if there’s a product in here that you have your heart set on, keep that credit card close by and act fast. Enjoy the savings! Gone are the days when you can only play mobile games via the touch interface of a smartphone or tablet. In fact, the days of connected hardware and accompanying gaming accessories are rife, which is where this wonderful, and heavily reduced, Guitar Hero bundle comes into its own. The all-new guitar controller allows users to confidently enter into the two new gameplay modes that have been introduced by FreeStyleGames. If you’ve ever wanted to be a legendary musician, then now is the time to realize that dream. Compatible to work on iPhone, iPad and Apple TV. 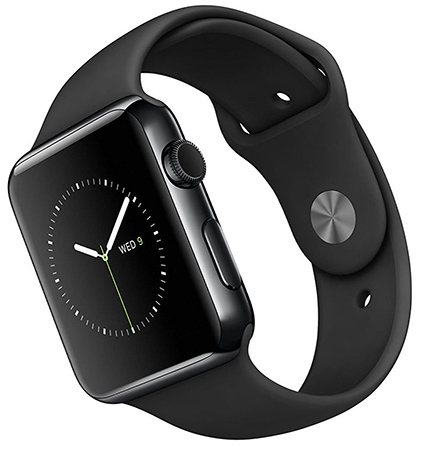 Apple CEO Tim Cook has already prophesied that the Apple Watch will be one of the most popular holiday gifts this year. If you want to add to that popularity, then why not get your hands on the stunning 42mm stainless steel model with accompanying black sport band for $100 off its original price? It’s the original first-generation version Watch with a 1.5-inch AMOLED capacitive touchscreen, 8GB of internal storage, and 512MB RAM. Sometimes you just need a stunning and highly capable monitor that works as hard as you do, and shows off your hard work with stunning clarity. And sometimes you just need to dip into the piggy bank and part with what may seem like a lot of cash in order to own that monitor. Step forward the Dell UltraSharp option with a 27-inch display, an ultra-thin bezel that breeds beauty, and a side and top profile that will make you question if it was designed by magicians. 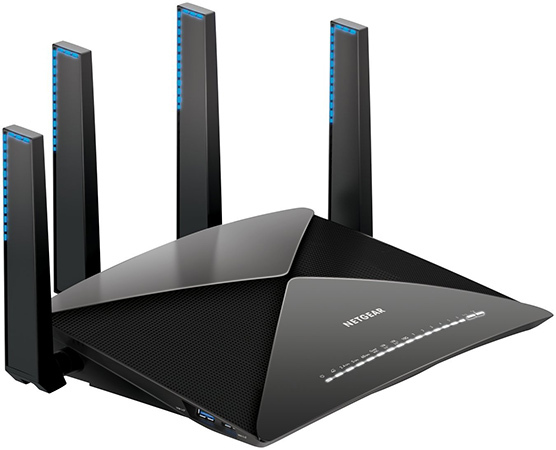 We aren’t exactly sure when routers and modems started getting names like “Nighthawk”, or started being designed by individuals who think a router should look like an aggressive invading alien ship, but we aren’t exactly complaining. Integrated support for 802.11ad WiFi brings the faster WiFi technology for instant downloads and backups. There’s also multiple high-performance antenna for better WiFi coverage and faster speeds. Quad-Core processor and faster wireless performance means that this router should be able to stream 4K videos without issues. Best of all, it can even be used as a Plex Media Server on its own without needing any PC! Apple cables are notoriously poor quality, and will more often than not fall apart well before your iPhone or iPad is taken out of commission. That’s why you sometimes need to bite the bullet and accept that there’s a small additional cost in the form of an MFi certified and extremely well built cable that won’t fall apart and won’t let you down at the last minute. 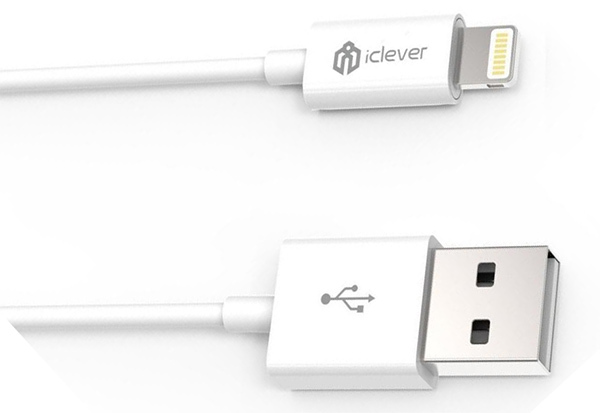 Grab it for $9 with the following promo code at checkout: ICLEVER0. If you’re sitting on your sofa or couch, and looking directly at your wall thinking there is something missing, then the chances are that you need a 50-inch LED TV mounted on the wall. 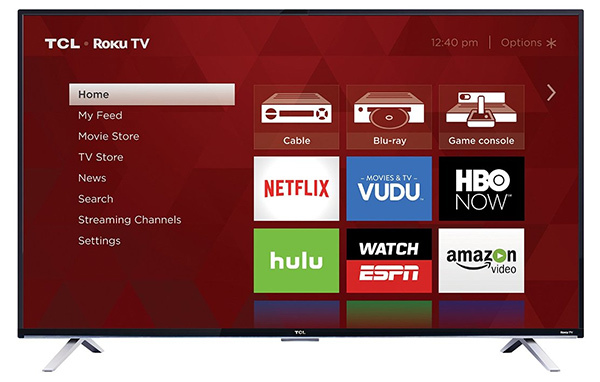 If you don’t want to part with maximum cash to get that experience, then you will definitely need to take a keen look at this Roku Smart LED TV with 4K UHD quality.